Community Healthcare Center is a product of a 1992 organized community effort to develop a healthcare facility for the medically underserved: low income, uninsured and under-insured community residents. 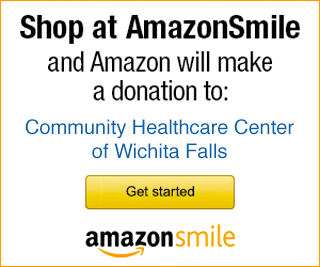 The Center began providing medical care in 1994 to Wichita County and the surrounding counties of north central Texas. Today, over 20,000 insured and uninsured patients annually call Community Healthcare Center their healthcare home. From its modest beginning in a 3,800 square foot modular building with one primary care physician and eight employees, the Center has grown to 44,000+ square feet with clinicians spanning the fields of family medicine, pediatrics, obstetrics, women’s health, behavioral health and family dentistry. Medical and dental care is supported by lab, x-ray, pharmacy, education, prescription assistance, Medicaid eligibility and more. In 2009, Community Healthcare Center saw the edition of a second site, a temporary clinic opened in the Wichita Falls Housing Authority. The permanent site, Community Healthcare Center – Juarez Medical Clinic, was erected in 2010 and serves Housing Authority and surrounding neighborhood residents. In 2014, a new 13,000+ square foot site – Phyllis Hiraki Dental Clinic was opened next door to the main clinic. This state-of-the-art facility dramatically enhanced the Center’s capacity to service the oral health needs of area residents. In 2017, Community Healthcare Center worked with a community task force to open a federally qualified health center clinical site in McKinney, Texas – Family Health Center at Virginia Parkway. The health center in McKinney houses primary and preventive services for medical, dental and behavioral health counseling. In March of 2018, Pediatric Associates merged with Community Healthcare Center. Since the beginning, Pediatric Associates mission was to serve those patients that have no insurance or depend on Medicaid, and that mission-focus made it evident that the merger was the best for both clinics since Community Healthcare Center’s mission is to serve the underserved.